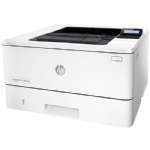 To produce impressive printouts, purchase the Lexmark MS812dtn 40G0470 Laser Printer � Monochrome. This amazing laser printer delivers high standard prints with a maximum printing resolution of 1200 x 1200dpi at a rate of 70 ppm. It comes equipped with an integrated Dual-Core 800MHz Processor, which ensures faster processing efficiently; as well you can employ its internal 512MB Memory to store documents for instant printing. 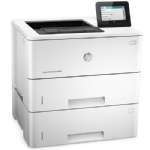 In addition, with its Duplex Printing feature it lets you to print on both sides of the paper, reducing the paper usage. 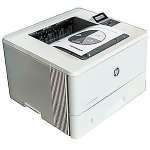 You can link this printer to any other external devices via its USB, Ethernet, and Wi-Fi connectivity. 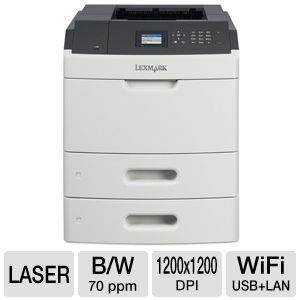 Grab the Lexmark MS812dtn 40G0470 Laser Printer � Monochrome right now!